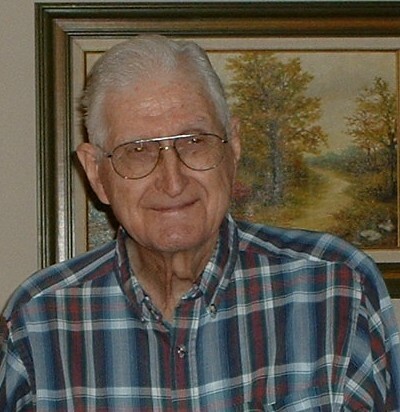 ← Oscar T. Vale Jr.
Robert Woodson Yarbro, 89, born September 11, 1924 to Daniel and Annie Yarbro, in Breckenridge, TX died June 18, 2014 in Plano, TX after a long battle with Alzheimer’s. He graduated from Forsan High in 1941 and from North Texas State (UNT) Denton in 1948 following four years serving in the US Navy during WWII, much of the time on the USS Tripoli aircraft carrier in the Atlantic. He retired from Texaco, Inc. (Chevron) in 1982 after 34 years in offices in Dallas, Norfolk, VA., Baltimore, Boston, and Houston where he lived for 41 years. He was a member of First Presbyterian Church in Houston for 25 years and of the Texaco Country Club where he played golf, his lifelong hobby, for many years. He also sang solos as a hobby throughout his lifetime for churches, clubs, family and friends, and retirement communities and nursing homes in both Houston and Dallas. He enjoyed gardening and had lovely rose gardens at several of his homes. He moved from Houston to Richardson in Feb 2010 to be near family for health reasons. He was preceded in death by his three brothers, Thomas, Daniel, and Wesly Yarbro. He is survived by his wife of 65 years, Audrey Ann Achilles Yarbro and several nieces and nephews and their families. No service will be held. He will be buried at Restland. In lieu of flowers, memorials may be sent to Alzheimer’s Association or charity of choice. Uncle Bob from on Vimeo.